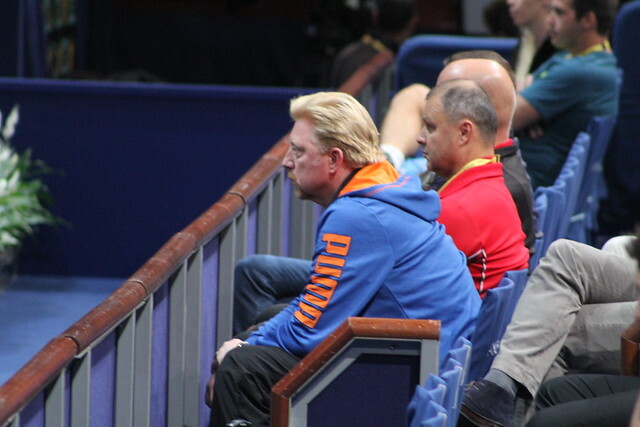 Becker won the Bercy tournament three times in 1986, 1989 and 1992. He was also finalist in 1990 and 1995. 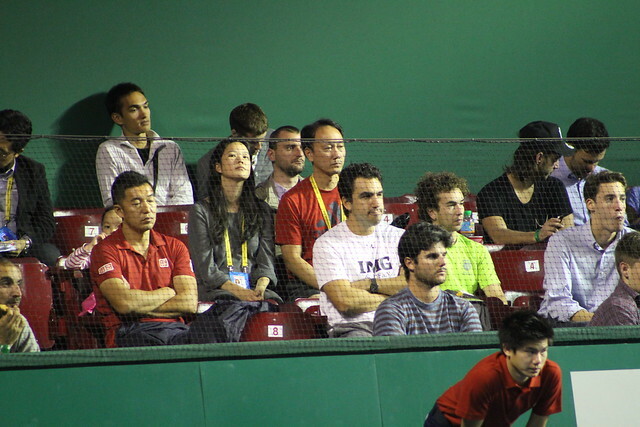 Michael Chang watching Kei Nishikori’s second round win over Tommy Robredo, with his wife and eldest daughter. 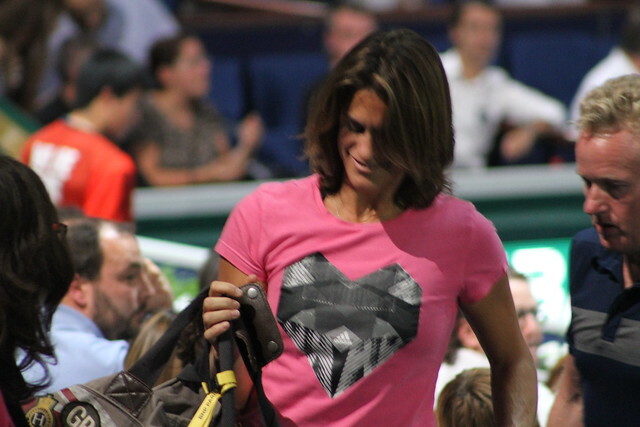 Roland Garros champion in 1989, he reached the semifinals at Bercy 3 times (1991, 1994, 1999). 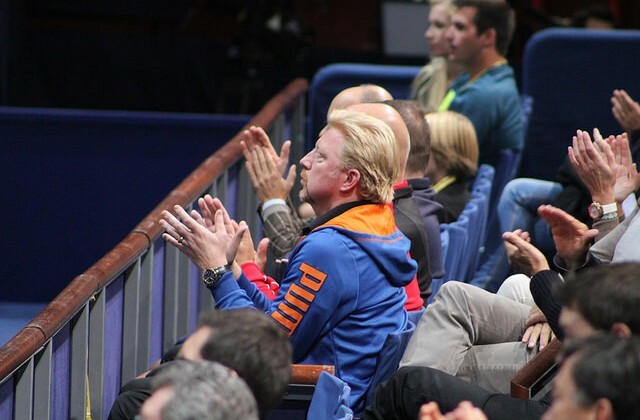 Wawrinka’s coach, Magnus Norman. 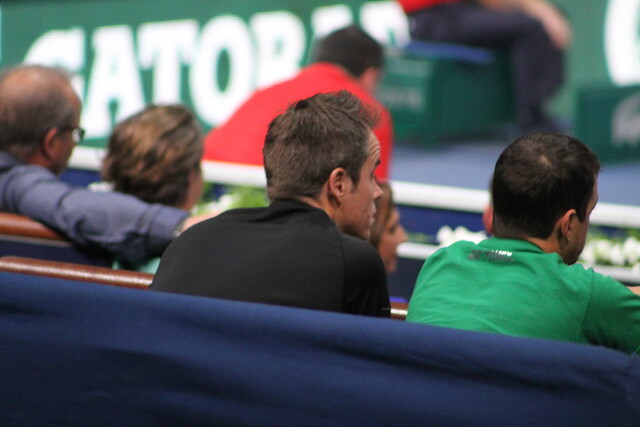 He never got past the second round as a player, but he was Robin Soderling’s coach when he won the title back in 2010. 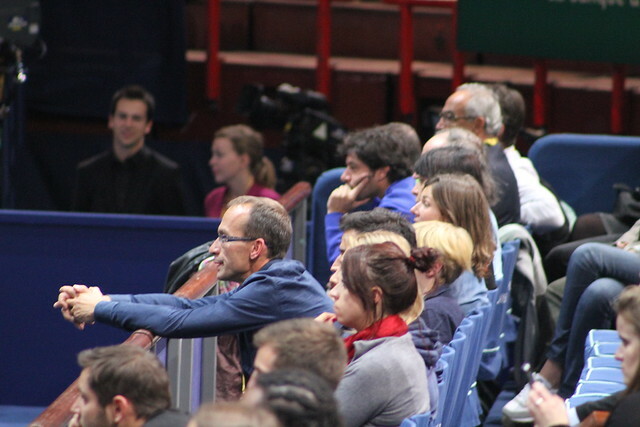 Sébastien Grosjean, during Richard Gasquet’s victory over Denis Istomin. He captured the biggest title of his career here in 2001. 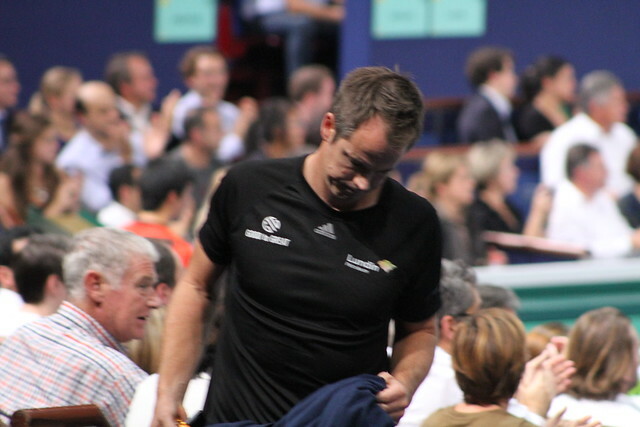 Only two other French players won the Bercy title: Jo-Wilfried Tsonga in 2008, and Guy Forget in 1991. 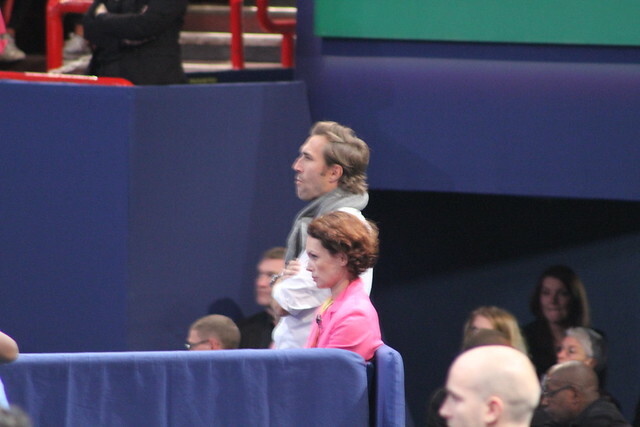 Nicolas Escudé, coach of Jo-Wilfried Tsonga. He won the doubles title with Fabrice Santoro in 2002. 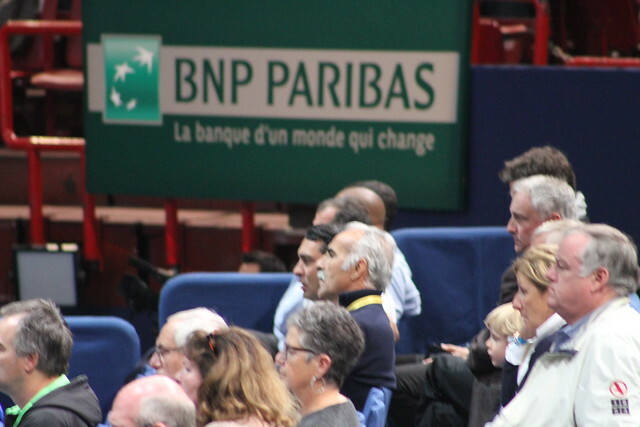 Tennis greatest entertainer Mansour Bahrami. I had the pleasure to see him once again at the Optima Open last August. 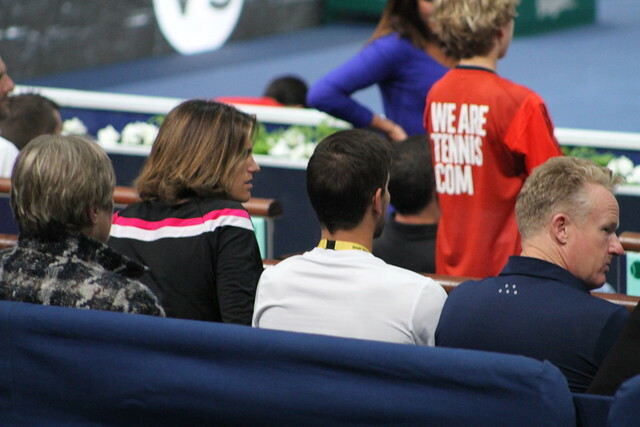 Also seen (but no pics, sorry): Davis Cup captain Arnaud Clément, Bercy tournament director Guy Forget, and former Bercy tournament director Cédric Pioline. 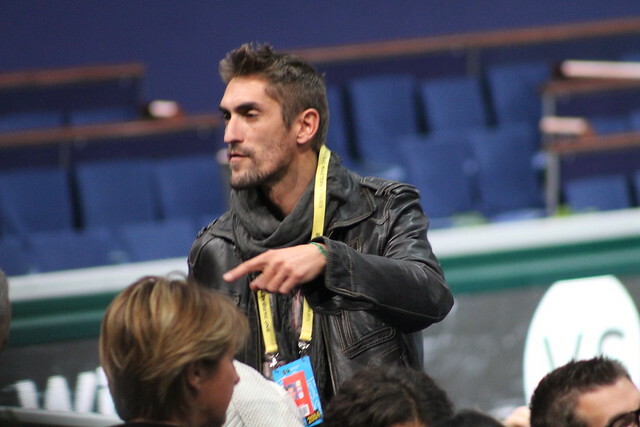 Enjoy our Bercy 2014 coverage on Tennis Buzz. 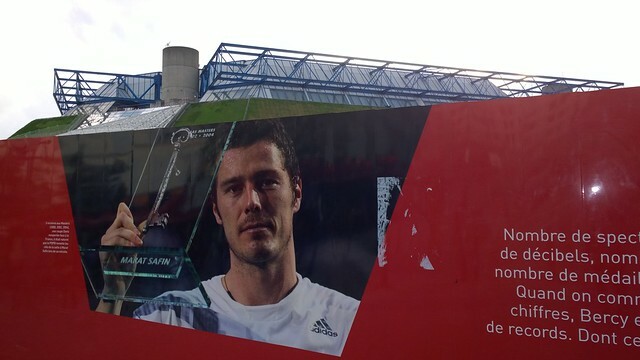 Ancien top 20, vainqueur de la Coupe Davis en 2001 et ex-capitaine de l’équipe de Fed Cup, Nicolas Escudé a rejoint Artengo fin 2012. Sa mission: la mise au point et la validation des lignes de raquettes et de chaussures les plus techniques de la marque.